Any experienced poker player knows that getting reads on opponents is very important. What separates a truly expert player from a non-thinking ABC player is the ability to alter his game in response to tendencies identified in opponents’ play. In cash games or even in sit n gos, you may be able to observe your opponents over hundreds or thousands of hands in order to get a good idea of their styles of play. But in MTTs, you will be seated randomly with players you have never played against before, and you will be moved to new tables regularly. Since you won’t be able to build much of a history with most of your opponents, it’s very important to be able to get quick reads on their play, which you can begin to use almost immediately. Listed below are a few things to look for that can give you a solid understanding of your opponents’ level of play in a very short amount of time. In the early stages of a tournament, there are plenty of good reasons to open for 3bb or even 4bb, but as the tournament progresses and stack sizes dwindle, there is almost never a good reason to open that large. By the time players have about 40bb stacks or smaller, most good players are making open-raises to 2 – 2.5 bb. 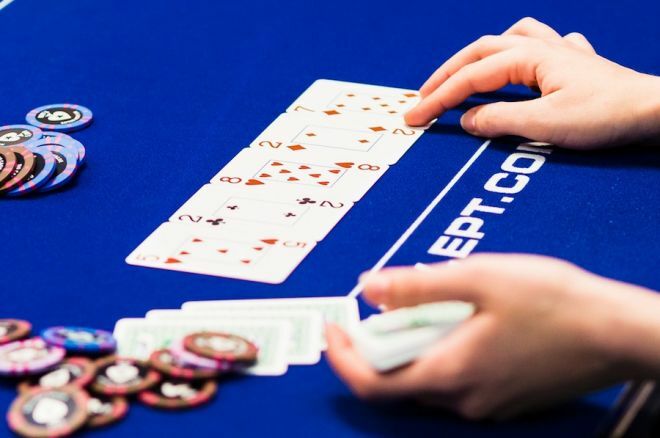 If a player is regularly opening for a larger amount at that point in the tourney, he is almost certainly a player who is unfamiliar with tournament poker. He may be a good cash game player who doesn’t know much about proper tournament play, but on the other hand, he may be a complete fish. Either way, you can count on him to make big errors in his opening, three-betting, and calling three-bets strategies. Such a player is probably playing the same strategy that he was playing when the stacks were large. Three-bet sizing can tell you many of the same things about a player that open-raise sizing tells you. In the beginning of tournaments, it’s common to three-bet to three times the size of the initial raise or even larger. But when stacks are smaller, many sophisticated players make their three-bets only 2.5 times the size of the raise or even less. Due to stack sizes and the commitment threshold, making such a small three-bet achieves the same purposes as a larger three-bet would while risking fewer chips. Players who are three-betting too large risk committing themselves to calling any four-bet. You can deduce that a player who continues making these oversized three-bets is not adjusting his strategy as the tournament goes on.